Electric vehicles (“EVs”) are widely considered to be key in the move to a smart, low carbon future. As vehicle manufacturers successively expand their electric vehicle (EV) ranges, EV ownership rises due to the increased consumer choice. 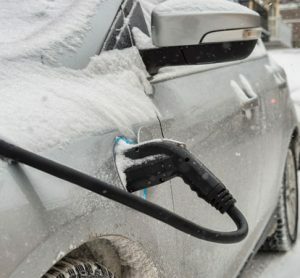 By the end of January 20181, cumulative registrations of plug-in cars had exceeded 130,000. The UK Government has demonstrated support for a mass EV roll out through the announcement of funding incentives (including £100 million grant for plug-in hybrids announced in the 2017 Autumn Budget), the timetabling of legislative developments to make further provision for EVs (such as the Automated and Electric Vehicles Bill) and by committing to environmental pledges (including to end the sale of new petrol and diesel cars and vans by 2040 – which is expected to be confirmed in the Road to Zero strategy expected later in June 2018). Given our digital revolution started relatively recently, it is not surprising that the UK has not arrived at its target EV deployment figures just yet. Figures from the Society of Motor Manufacturers and Traders show that during April 2018, 169,911 new cars were registered, of which plug in and hybrid cars only totalled 3,645. However, the impact of EVs extends beyond the fuel used to charge a car. EVs – and the associated charging infrastructure – do not just represent technological developments, but an evolution in the way we buy (and sell) our energy, select our energy supplier and use the electricity network, shaped by developments in the sharing economy, storage technologies, smart metering, connectivity, data access and payments mechanisms, as well as increased expectations of consumer choice. The way we use our electricity networks is changing. Historically fed by a constant electricity supply from a few fossil fuel power stations, existing electricity networks have come under pressure from the large number of intermittent renewable generation projects, sparking the National Grid’s introduction of balancing mechanisms and the imposition by distribution network operators of grid reinforcements, active network management and constraints. EVs present a new wave of pressure on the electricity network. The average EV can require as much energy per year as a typical domestic house (based on 12,000 miles). Current energy availability is estimated to meet the electricity demands of 3 million EVs (representing just 10 per cent of the existing UK car fleet). Assuming a traditional model of vehicle ownership, a 15 per cent uptake of EVs is projected to saturate some electricity networks; when uptake reaches 40-70 per cent, at least 30 per cent of electricity networks will require reinforcement by 2050. This represents a present day cost of £2.2 billion to UK customers. The question arises as to how such costs should be allocated amongst consumers and whether the impact of EV uptake on the electricity network could be mitigated using alternative methods2. Network Reinforcements – who pays? Currently, where reinforcement of the electricity network is caused by existing domestic or small business customers connecting new appliances, such costs are funded by all customers through their energy bill via use of system charges. The allocation of charges to all customers reflects the fact that reinforcement is needed when customers connect new appliances and use them at peak times, but individually identifying such customers is currently impossible. This charging position is likely to change with the introduction of smart metering, through which distribution network operators will be able to identify when a customer is contributing to peak demand and therefore contributing to the need for reinforcement. This could give rise to a need to review charging in due course. With home remaining the prime charging location (at around 87 per cent), the main EV charging time currently closely correlates with peak energy usage times i.e., 16:00 to 19:003. As EV uptake increases, this concentration of charging is likely to overstress electricity networks. Smart charging, in which the EV charging rate is throttled to support the local network – extending or deferring charging times into low demand periods – may assist with network management. As EV uptake increases, it is anticipated that the majority of customers will need to accept smart charging, although the perceived potential for driver inconvenience may exacerbate the commonly cited deterrent of EV uptake: range anxiety. The role in optimising network use by domestic consumers – whether by introducing smart charging or other incentives – would be likely, at least initially, to fall to market forces rather than regulation and enforcement by distribution network operators. 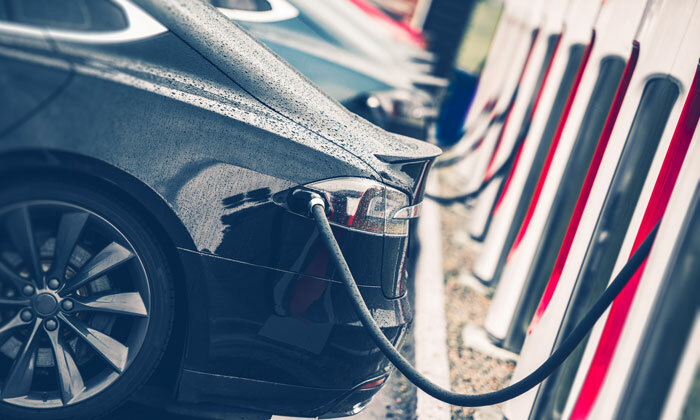 Energy suppliers are in a position to shape how and when EVs use the electricity network by offering incentivised rates for off-peak or smart-charging. For example, lower night-time EV charging rates could attract EV users which could in turn off-set peak-time charging (noting that such time-based incentives may develop as usage patterns mature, for example, as night-time and daytime use equalises). Energy suppliers such as Ovo, Good Energy and Octopus already offer tariffs favouring EVs, the latter based on time of use which will pay customers to use electricity at times of low demand. Within a short space of time, smart metering technology could allow EV users to time their charging periods to align with cheaper power prices (and potentially offset any allocation of cost reinforcement by distribution network operators). Vehicle to grid (V2G) services, in which EVs can be connected to the electricity network to provide demand response services (by charging or discharging its battery to draw or return electricity to the network as demand requires) or managed EV charging functions (by discharging to allow more EVs to charge at periods of high demand) may also assist in managing network congestion. Electricity market reform has seen the introduction of the capacity market, demand response, load balancing and frequency response services to balance intermittent renewable generation, as well as increased opportunities for aggregators and price arbitrage. Decentralisation of energy generation, development of storage technology and changes to the way in which consumers use the electricity network is also creating opportunities for individuals to play in this market, with V2G services potentially eligible for all but the capacity market mechanisms listed above. Although V2G technology is in its infancy and therefore its impact on the electricity system is not yet fully understood, V2G – and emergence of storage in the energy landscape more generally – highlights that intermittent renewable generation is creating opportunities for new flexible sources of generation. Such potential is actively encouraged by the Government, with a £20 million V2G innovation competition launched to encourage research and investment in this area as part of the Government’s Industrial Strategy. Therefore, it is not just the energy supplier that may shape how the electricity network is used, but individuals – including EV users – too. 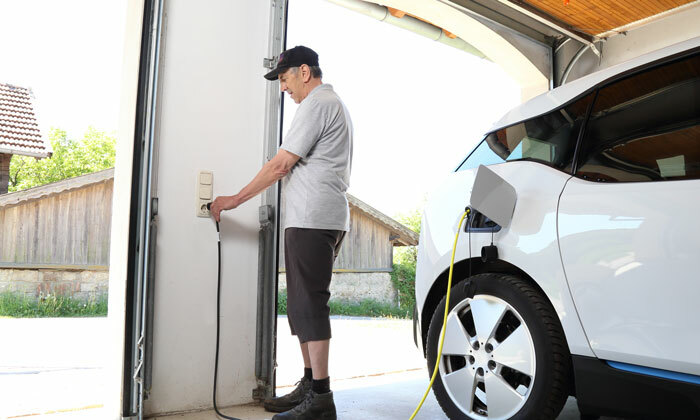 EV users are energy generators in their own right due to their EV’s battery storage facility. As obvious ‘prosumers’, their ability to sell or trade their surplus electricity to (or buy their deficit from) other consumers is facilitated by the development of peer-to-peer (P2P) energy trading platforms, supported by advances in digital technology such as blockchain and artificial intelligence. 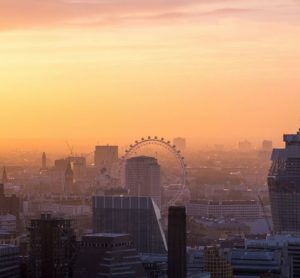 With market players launching blockchain-powered P2P platforms, such as eco-tech start-up Verv (offering P2P on a social housing project in London), Centrica (a local energy market (LEM) trial in Cornwall with the installation of around 100 residential solar-plus-storage systems) and Suncontract (a live blockchain-powered P2P platform in Slovenia focused on homeowners) and a more savvy consumer base emerging as a result from the retail market review and switching regime, P2P energy trading is pitted as a logical development given the rapid rise of the sharing economy – which includes car-sharing, such as the provider Zipcar in the Mobility-as-a-Service (MaaS) market. EV charging and usage business models give rise to a number of energy regulatory issues, including supply and generation licencing. P2P energy trading models and, to a lesser extent, V2G services, highlight the disruptive impact EVs could have on the energy retail sector and a redefining of traditional roles (and applicable regulation) within it. Ofgem appear to recognise the constraints of the current regulatory regime and as such are supporting new products, services and business models that cannot currently operate under the existing regulations offering a ‘regulatory sandbox’ to qualifying projects. Ofgem (via its Innovation Link) provides bespoke guidance on the interpretation of compliance with regulatory requirements, an indication of Ofgem’s approach to enforcement and references to derogations or exemptions from applicable regulatory requirements. Ofgem is currently collaborating with three P2P projects – including Verv – to trial the sharing platforms, free from the current regulatory constraints. 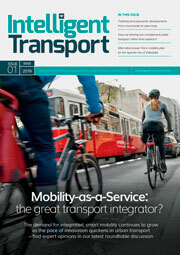 The trials are likely to influence changes to regulations that will be required to accommodate P2P becoming the norm. Currently, a supplier of electricity to premises in Great Britain is required by the terms of the Electricity Act 1989 to hold a licence for such supply, unless they fall within one of the exempt categories set out in the Electricity (Class Exemptions from the Requirement for a Licence) Order 2001 (the ‘Order’). Supplies to another consumer under the P2P model are not currently identified as being exempt categories under the Order, which are narrowly defined and not easily relatable to EV models, given the Order was drafted long before EVs were contemplated in any detail. Therefore, businesses looking to embark on P2P trading models or EV supply propositions may currently need to hold supply licences or route their supply through a licenced supplier (requiring a contract to be entered into with that supplier), with the result of increased costs and reduced viability of the potential business model. Ofgem has recognised that clarity over these legislative and regulatory arrangements is needed to avoid constraining innovation and investment in this area and we are working with Government to consider this area further. Electricity generation activities, like supply, also require a licence under the Electricity Act, unless a generator’s activities either fall within certain exempt categories or the generator has been granted a specific licence by the Secretary of State. Although battery storage (which could include EVs) is being treated as a sub-set of generation for licensing purposes, the Electricity Act 1989 and other relevant legislation has not yet been formally amended to include this definition. The Government has committed (but has not yet had parliamentary time) to make this amendment and so BEIS and Ofgem have instead developed a modified generation licence for storage, which is intended to provide regulatory clarity in the short term. Whilst perhaps not an issue for small-scale charging and V2G models currently being contemplated, this may become an issue as business models develop and portfolios are established. It is therefore encouraging to see the Government reacting to changes in innovation and market trends and seeking to clarify an entrenched uncertainty in the storage sector. Range anxiety is often cited as the key factor in deterring EV uptake. Coupled with a perception that an EV battery always needs to be at full charge, studies4 have shown that the limited availability of public charging points is the biggest consumer barrier to the adoption of EVs. However, as the majority of charging activity currently takes place at home, it could be argued that the barrier is largely consumer mind-set. From standalone and integrated streetlight charging points to inductive charging pad technology, the growing network of charging infrastructure may be followed by accompanying legislation in the form of standardisation of plug-in connections, and particularly in the latter case, product regulations and standards. The Automated and Electric Vehicles Bill currently passing through parliament will make the installation of public charging points mandatory at service stations belonging to “large fuel retailers” and “service area operators.” Although the scope of these are waiting to be defined, these are likely to encompass motorway service stations and the majority of large service stations, which will be obliged to ensure that charging points are available for use during prescribed times. The Government, in committing to “develop one of the best electric vehicle charging networks in the world,”5 has pledged £400 million6 for the development of a national charging network. However, it is currently unclear when enabling funding can be expected, since the procurement of this sum, half of which was intended to be met by private investment, has been delayed and notionally set for summer 20187. Furthermore, the Government has committed grant funding for local authorities towards the cost of installing on-street residential charge points for plug-in EVs, with £1.5 million of funding allocated for 2017/18 and £4.5 million for 2018/19 and 2019/20. Funding is available for 75 per cent of the capital costs of procuring and installing the charge point to a maximum of £7,500 per charge point and £100,000 per project. The remaining 25 per cent of capital sources (and the on-going running costs) must be sourced from other local authority resources or otherwise from the private sector. 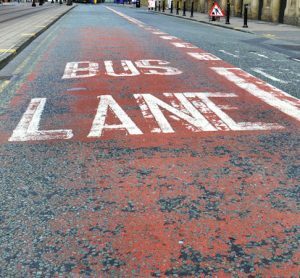 Uptake of the grant has been woefully low with only five of 201 local authorities utilising the scheme8, with some commentators referencing constrained budgets in the failure for local authorities to resource the remaining 25 per cent from their internal resources. 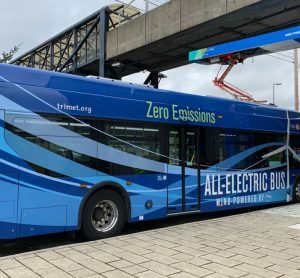 In addition, with those local authorities considering how to engage seemingly more focused on availability of charge points instead of the revenues made from them, this structure has so far failed to find private sector partners who require proven receivables, security over revenue lines, scalability and step-in rights to make such investments viable. Public charging networks require careful site selection, with consideration of access, charging infrastructure competition, EV concentration in the area and optimal charging speed for the area or location. Some charging infrastructure may require planning permissions and traffic regulation orders pursuant to the Road Traffic Regulations Act 1984, leading some industry participants to argue that EV charging infrastructure should not require full planning permission, but rather be dealt with under permitted development rights, a change which would require amendments to the National Planning Policy Framework and the Town and Country Planning (General Permitted Development) (Amendment) (England) Order 2011. Cost and lead time for electricity network connections and availability of power will also affect charging infrastructure locations, as well as the ease with which private permissions such as leases and easements can be secured. At present, ownership of charging networks depends on whether the charging point was procured by a site host – such as local authorities, shopping centres and supermarkets – with a back office provider such as Chargemaster, Pod Point or Charge Your Car linking each charging point together with a uniform charging platform. Other charging point providers, such as Ecotricity, own both the charging point and charging platform. In the operational phase, a robust and user-friendly national charging network will require agreed standards for electrical safety management and operational service levels (whether on a private contractual or legislative level), as well as communication protocols (for example, when charging points interact with EVs). Data access and collection from EVs and charging networks must be handled (and monetised) in full compliance with legislation for personal data, energy data and other data. 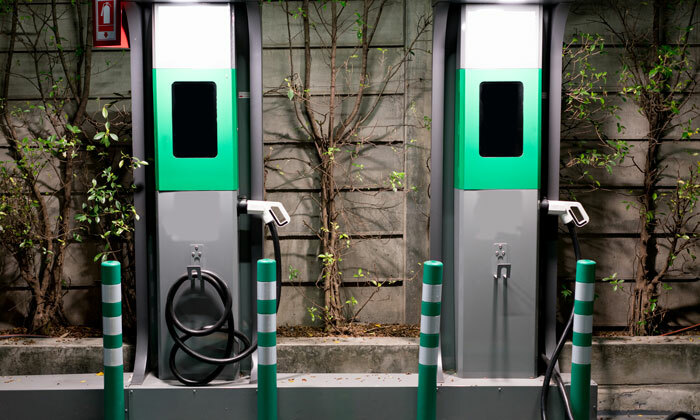 Whilst some charging points, often at shopping centres and supermarkets, currently offer free charging (a position that is anticipated to change as EV uptake increases electricity costs of the site host), many charging platforms impose a charging fee. Commercial payment models currently include subscription-based or set charges models (the latter based on a connection fee, price per charge, price per units of energy consumed or a combination). With public charging networks owned and operated by different providers, EV users are therefore either inherently restricted in using charging points served by a particular charging platform or having a variety of RFID cards or smart apps with different charging platforms to provide a wider choice of charging points. This position has arisen in part because the commercial meter attached to a charging point can only have a single supplier identification, meaning that it is fed by a single energy supplier with which back office providers or site hosts will contract for an energy supply. However, Elexon has proposed amendments to the Balancing and Settlement Code (BSC) central services which would facilitate multiple suppliers to feed a single supply point, therefore enabling customers – including EV users – to buy (and sell) power from multiple suppliers. Elexon considers that its proposals would provide the opportunity to deliver flexible P2P trading and multiple supplier solutions in shorter timeframes than would otherwise be possible, meaning charging point supplier selection could soon be driven by real-time price comparison tools and other subscription-based models. The EV market is innovation-led, evolving with and being shaped by emerging technologies, business models and consumer behaviours that are not yet fully matured or understood. In turn, the legal landscape needs to evolve to support progress in automotive design and intelligent transport systems, with sufficient flexibility and future-proofing so as not to stifle further innovation in the medium and longer terms. With fully autonomous vehicles on the horizon, the question is whether EVs themselves represent just a stepping-stone in our wider automotive revolution. Designated in the Autumn 2017 Budget.